*PMDG Operations Center - Includes the new PMDG Operation Center, a stand-alone application which manages livery downloads and installations, livery options settings, documentation, support and much more. 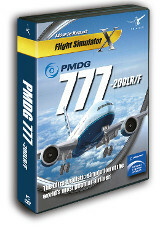 The OC also supports the PMDG Jetstream 4100 and PMDG 737NGX. We will be updating this application frequently to add new features and functionality. *FMC - The flight management computer (FMC) contains real life 777 FMC features including Required Navigation Performance (RNP), LNAV, extremely accurate VNAV speed and altitude predictions and the full complement of scratchpad warning messages that a real crew could see. *Flight Model - Engine and flight modeling that is within 5% of the actual Boeing aircraft performance charts, including single-engine operations. *Autopilot - brand new PMDG autopilot created for the 777 that replicates the precise yet smooth feeling you get from the real thing. Created with hours of video taken in the real airplane and actual 777 full flight simulator flying experience. *Sounds - A meticulously created soundset that captures the raw power of the GE90-110B1 engines and cockpit environment. Every aspect of the engines is represented here, exactly pitch matched to real life recordings made at every 10% over the engine’s power range. Many cockpit sounds have multiple files behind them that are randomly selected to make each click sound subtly different, just like it does in the real world. All sounds were recorded on the real airplane. *RAAS - Fully functional Runway Awareness and Advisory System which calls out runway names and other information. *Exterior Lighting - 3D volumetric exterior lighting that lights up the FS scenery. You can even see the flash from the strobe lights when looking out the cockpit side windows. Improved over what was in the PMDG 737NGX. *Liveries - Free downloadable liveries for numerous world airlines, easily installable using the Livery Manager in our new PMDG Operations Center. *Documentation - Full documentation that includes the real-life 777 manuals, consisting of the Flight Crew Operating Manuals Vol. 1 & 2, the Flight Crew *Training Manual and the Quick Reference Handbook. 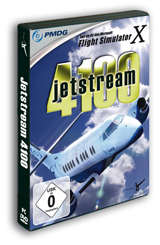 We’ve also included a 163 page introduction manual specific to the simulation and a 126 page tutorial flight that includes real Jeppesen charts, with a second on the way after release. Video Card: 1GB DirectX 9 compatible Nvidia or ATI card. Onboard motherboard or CPU video is not supported. Some of the newer Intel designs may work but we cannot guarantee compatibility.